St Catherine's Senior Primary includes grades 4 to 7. Our Senior Primary is a busy, happy place where children feel safe and able to develop their unique potentials, regardless of language, race or religion. St Catherine’s School Senior Primary pupils are encouraged, challenged and supported in a range of academic and extra-curricular activities. We encourage social responsibility and teamwork. St Catherine’s School environment encourages pupils to know themselves, be themselves and have the courage to challenge themselves. St Catherine’s School Senior Primary pupils enjoy outings and tours to many interesting and exciting places. We aim to stimulate a love of learning, a firm set of values and morals, and respect for others. Our pupils are guided so that they can enjoy the rewards of taking responsibility for their learning and finding their passions. They are educated so that they can make healthy choices and build a strong sense of self-belief and self-worth. This grounding includes an introduction to leadership. They can exercise and develop their emotional and social intelligence in a caring and nurturing environment. St Catherine’s School has specialist music, art, drama, computer and physical education teachers. We also have a Reading, Listening and Learning centre controlled by a remedial teacher. 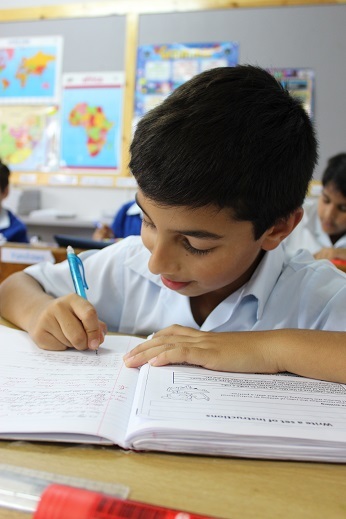 At St Catherine’s School we pride ourselves on the holistic development of the children placed in our care. One way in which we do this is to expose them to outside ideas and values through school tours and outings. In the Senior Primary, each Grade has one field trip per year that involves at least one overnight stay. Other outings are day trips to venues of interest. Field trips are invaluable in that the students see a world outside of the classroom and the teachers are able to observe a different facet to the pupils that is of value back in the classroom. Field trips also have an educational component that feeds into the school curriculum. Pupils are grouped randomly by facilitators and during group activities, they interact with different people so that they come away with a greater understanding and respect for one another. Learning to overcome obstacles such as fear and shyness is part of every program as is the development of leadership and communication skills. Download St Catherine’s School application forms.